Today’s recipe comes from our reader, Musky. 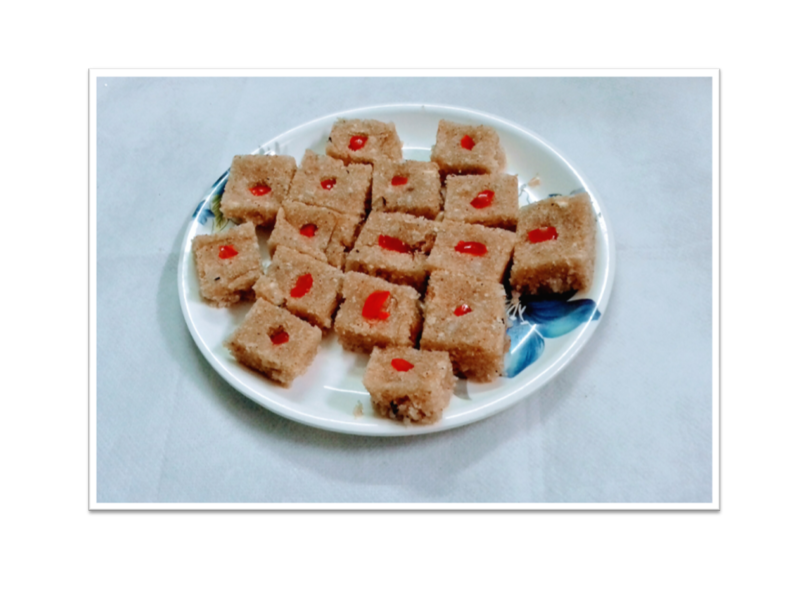 It’s an original recipe of a sweet dish – Coconut Semolina Barfi. A personal favorite of the contributor and one that requires simple ingredients and is hassle free to prepare. So let’s get started! 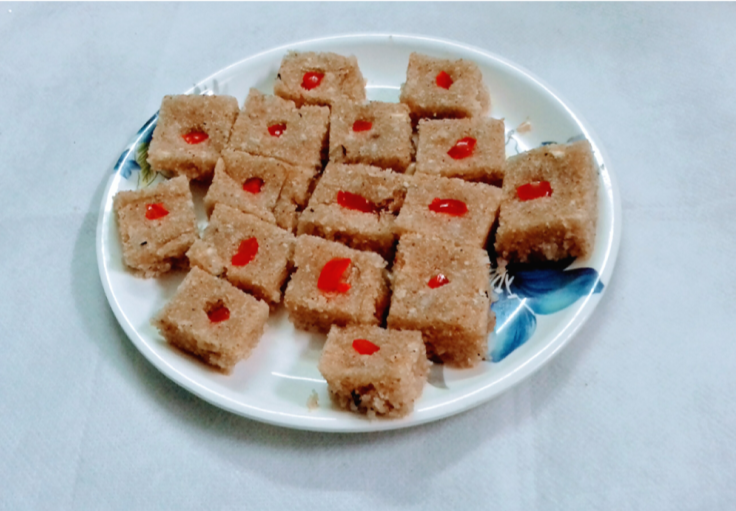 Recipe | Coconut Semolina Barfi – Assamese Style. In a pan, heat the shredded coconut along with half a cup of sugar – until the sugar melts, and the coconut acquires a translucent color. Set it aside. Heat a wok, pour oil and add the semolina. Fry until the semolina turns a golden brown color. 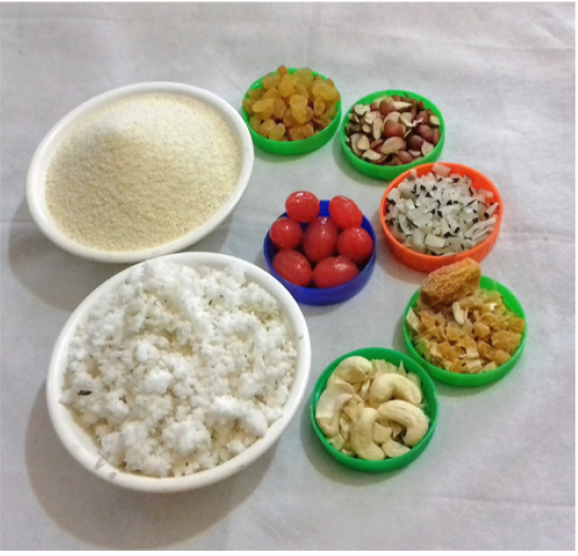 Put the flame on low heat, and add the dry fruits and the coconut-sugar mix. Mix it well and cook for 1-2 minutes. Keep stirring continuously. Add another half a cup of the sugar and mix well. Add the warm water and stir vigorously until the water is fully absorbed into the mixture. Put the mix on a flat tray and spread it evenly (flat) – making sure the thickness is same throughout the tray. Cut them in squares or barfi size and add a cherry to the centre of each barfi. Enjoy these homemade barfis with some hot tea or coffee in the evenings! 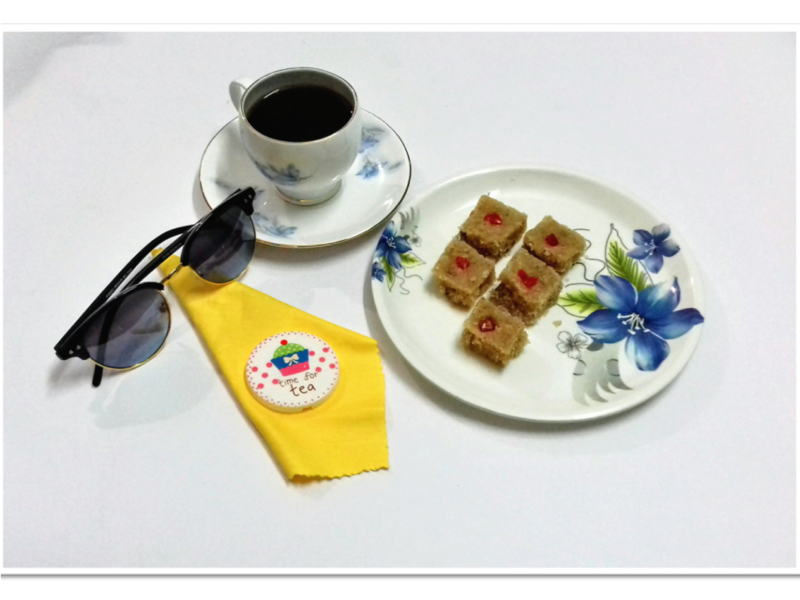 Recipe | Coconut Semolina Barfi.